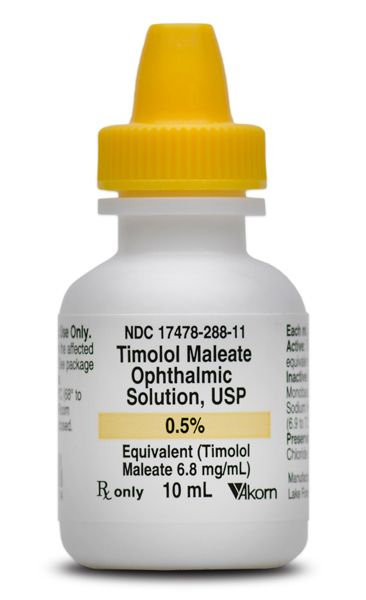 Sterile, beta-adrenergic blocking agent Timolol Maleate 0.5% ophthalmic drops in a 10mL dropper bottle. Manufactured by Akorn. NDC Number: 17478-288-11. Comes as singles. 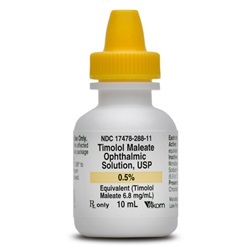 Compare to Timoptic.